We have seen a lot of ethnic inspirations on the Burberry catwalk and although I like ethnic prints, I also think they are more difficult to bring into your daily outfit. They seem to look good on holidays, but when you are back home…not so much any more. So I did some research on what prints are available and what can be added to your modern wardrobe. I would definitely not go for the complete ethnic look, but bring it into your outfit in a smart way by single pieces or accesories. 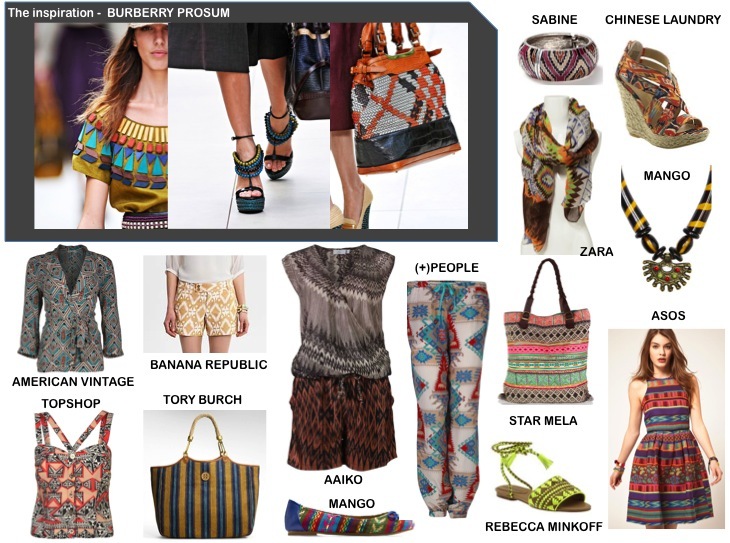 This entry was posted in Fashion and tagged aztec, burberry, ethnic, tribal by sofischoice. Bookmark the permalink.